Once more in an airport with a bunch of people in distinctive black tracksuits. Where are we going this time? China! This entry is part 3 of 8 in the series FWC China Trip 2014. Beijing airport is vast and empty at 6 in the morning. “Oh, Tannenbaum” was playing as the Muzak, unless you had a socialist upbringing in which case the words forming in the mind were of proletariat struggle. This entry is part 4 of 8 in the series FWC China Trip 2014. Day of excitement – we’re going to see the Great Wall! Excellent breakfast at the hotel – extensive Chinese buffet, plus coffee, toast and jam. Stoked up ready for the day’s exercise. This entry is part 5 of 8 in the series FWC China Trip 2014. Up before crack of dawn, packed breakfast (yuck) and on bus to airport. Xi’An coming, and we’ve never been before. Our organisation has given us plenty of time to check in which is just as well. You cannot take opened bottles of alcohol in checked luggage. We had some opened whisky of the expensive and hard to come by variety and had a choice between throwing it away or drinking it. Tough decision. This entry is part 6 of 8 in the series FWC China Trip 2014. Up at a reasonable hour for an outstanding breakfast. All nations catered for – was almost like home, bacon, sausage, beans, egg, and toast (just missing the black pudding). Plus congee and fried devils, sushi, noodles, fresh pastries, etc etc etc. This entry is part 7 of 8 in the series FWC China Trip 2014. After the lovely breakfast all packed up in the lobby ready to see the City Walls. Xi’An was the capital of China for 1100 years, and had its troubles in that time. The city walls are the longest in the world, full circumference being 9 miles. This entry is part 8 of 8 in the series FWC China Trip 2014. Wudang Mountain here we come. As a national park there are lots of protective measures in place and we can’t bring much luggage up with us. Quick repack for an overnight bag and wear as many clothes as possible – it’s at least 3 degrees colder up top and it’s not exactly balmy down here. This entry is part 9 of 8 in the series FWC China Trip 2014. 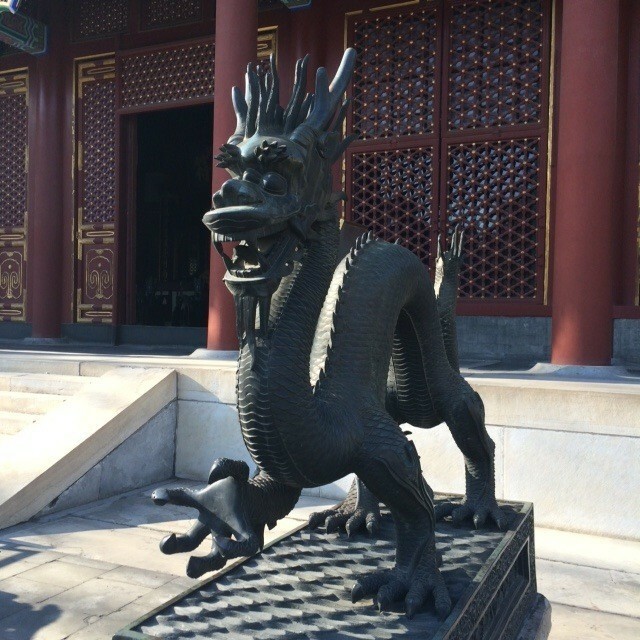 China Trip 2014 – Day 7 to the end! 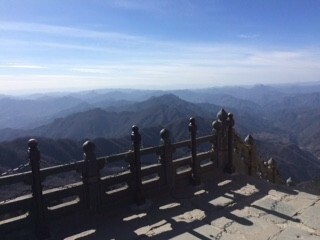 Waking up on Mount Wudang – wow! How many people can say that? And in the Tai Chi Hotel.